You're presented with a small arena. 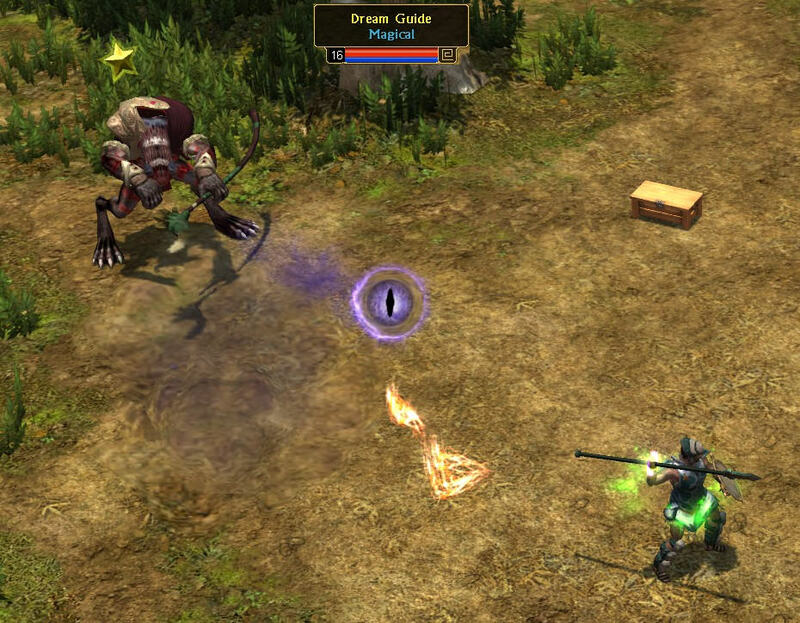 At the beginning you receive a weapon and a set of skills. Everything's way faster compared to vanilla TQ. 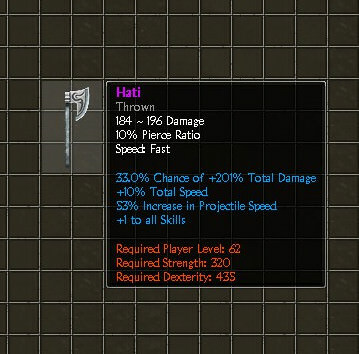 Every hit is lethal. Inspired by: tq2000 folder in the sandbox, Hotline Miami, and a bit of Serious Sam. Used assets from: Talos Principle, Serious Sam, Grim Dawn, A.I.M II. Credit goes to all the people involved in creating those. There's been cases of sudden ambient music artefacts (such as noticeable distortion) when you start a game. Should you encounter that, exit to the menu and restart it. For a while now I've been thinking TQ could use some sci-fi and more action. In this mod I'd like to try and make these two vague ideas into something playable and, more importantly, enjoyable. 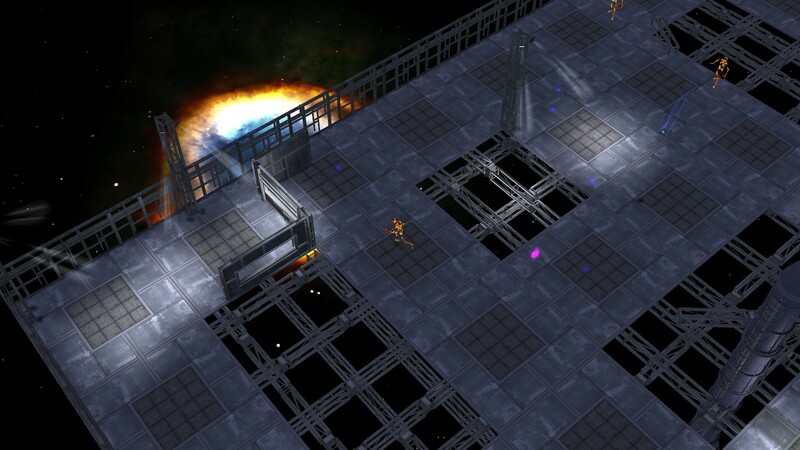 You're presented with a short looping level full of enemies. 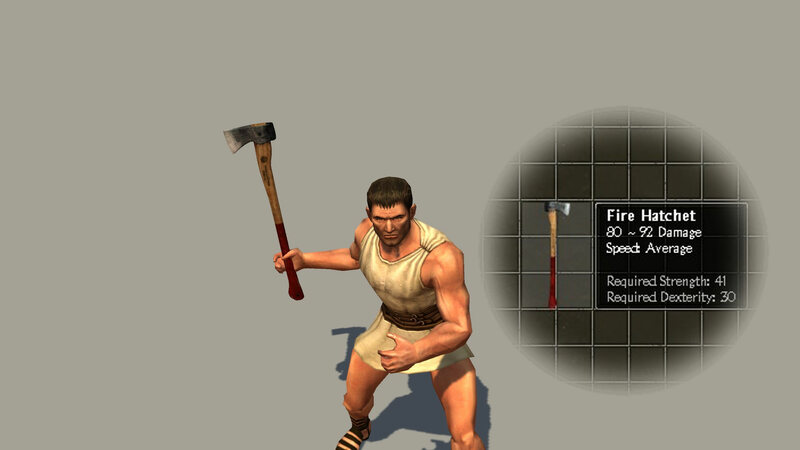 At the beginning you receive a weapon. Each time you die you start over with enemies respawned. Possibly difficulty increases after you complete a circle. Recently I've come to realize that I'm sitting on a pile of modding related stuff that will never be properly realized due to lack of time, interest, or simply because it wasn't going anywhere in the first place. However I wouldn't like to just throw away the time & effort that's been invested so I figured I'd get it out there anyway, whether it could be used by someone else or just for pure entertainment. Feel free to use anything I post here. 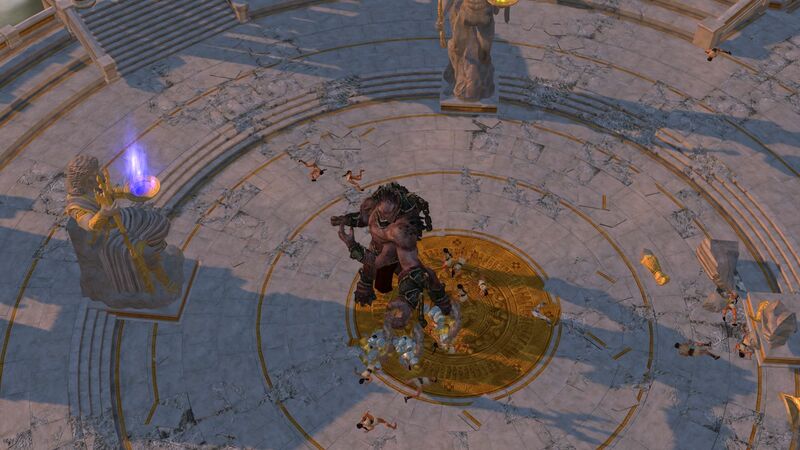 Concept of a mod where you play as Typhon, fighting waves of heroes on the Olympus arena. Launch typhon ~ startup mod, it'll get you to the main menu. 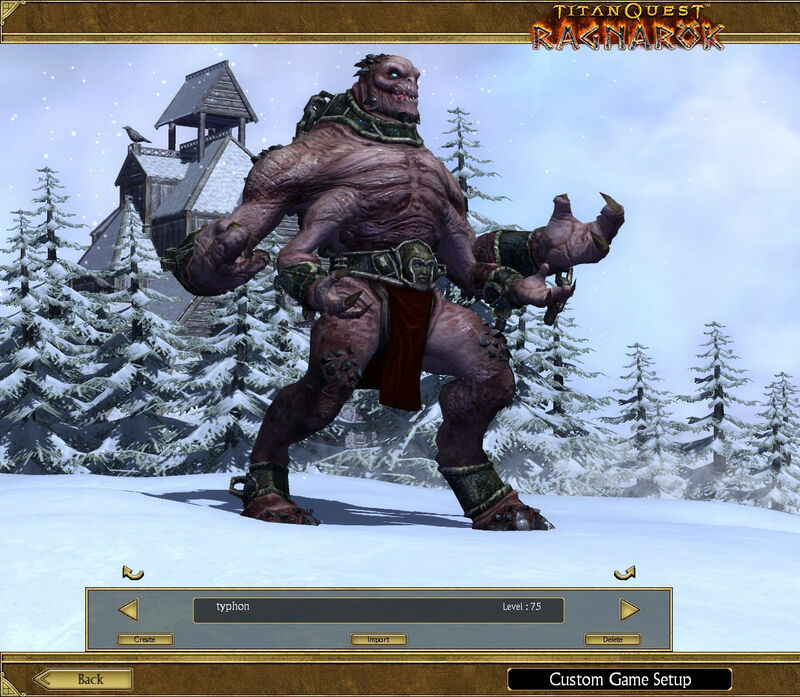 Come back to Custom Quest and create a new char. 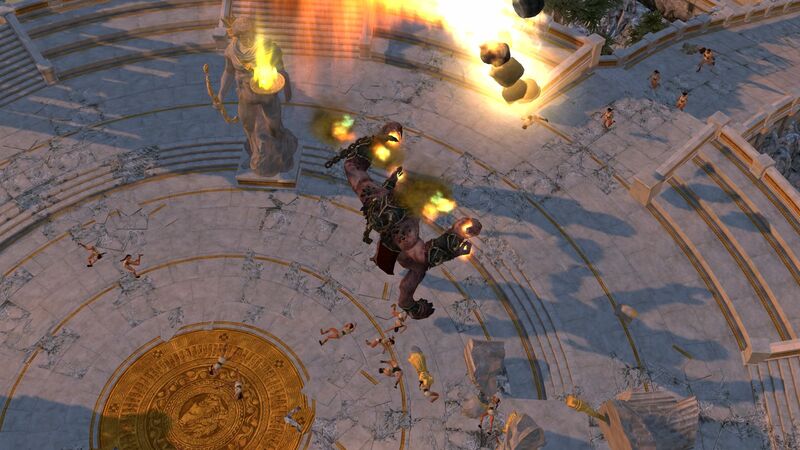 Restart the game and run Hereos' Bane ~ olympus mod with the char you just created. 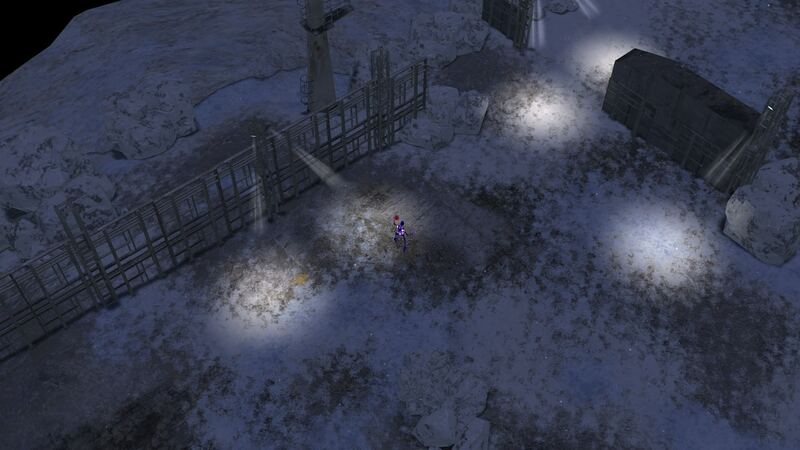 You start at the typhon prison. 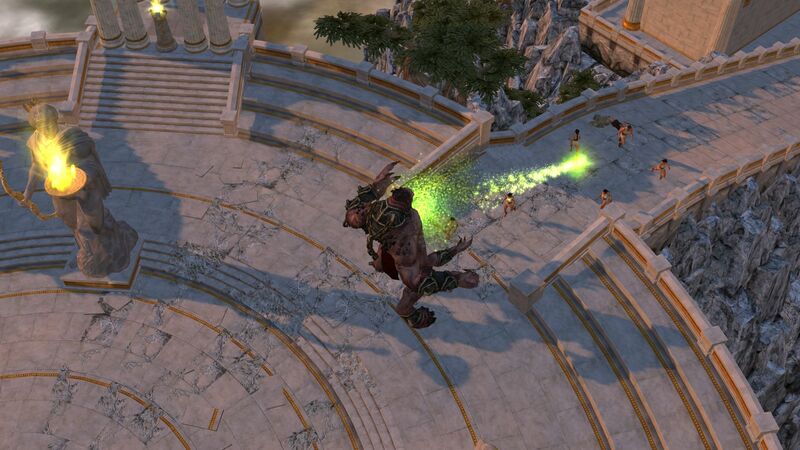 Proceed through the portal on the arena and face them puny hereos. Do feel free to post your work here if you'll ever find yourself in the same situation as me. 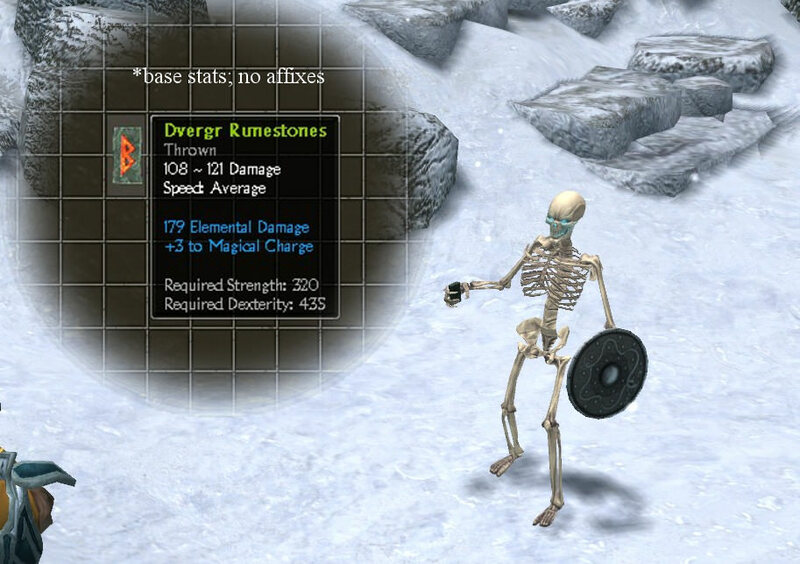 This mod's sole purpose is to fix obvious errors. I don't intend to interfere with the developers' vision of the game or questionable balance decisions (looking at you, Giant's Tooth). Water demons Kelpies now have the original horse models. Do feel free to let me know what you think, whether you like it or would rather prefer the vanilla look. 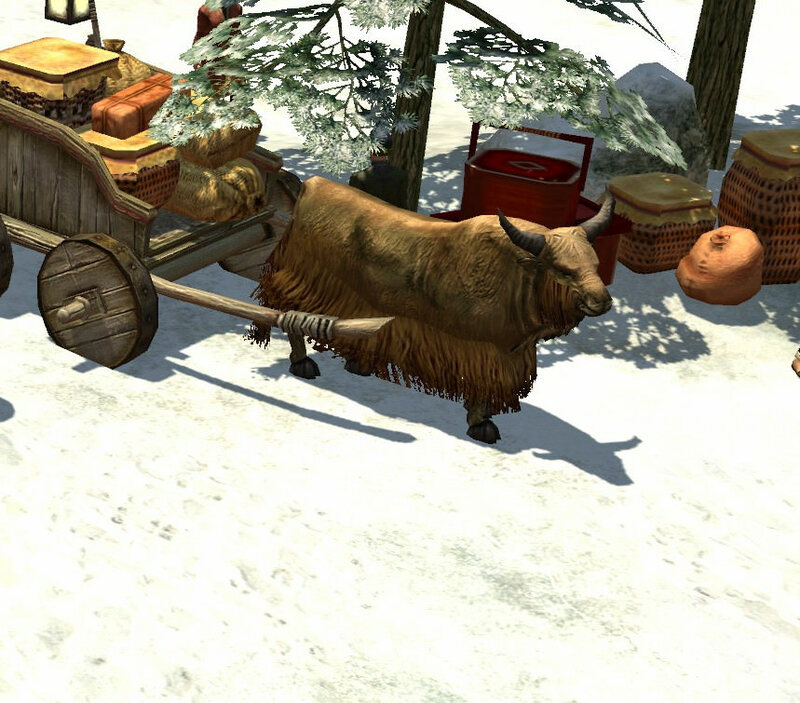 Fixed up an unused yak (ambient animal) model; Oxes in mountain & snowy areas in Orient replaced with yaks. 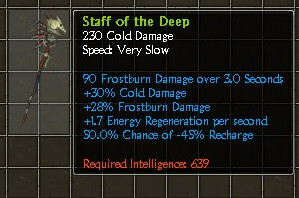 Revived Dream Guide, an unused pet from Dream mastery. 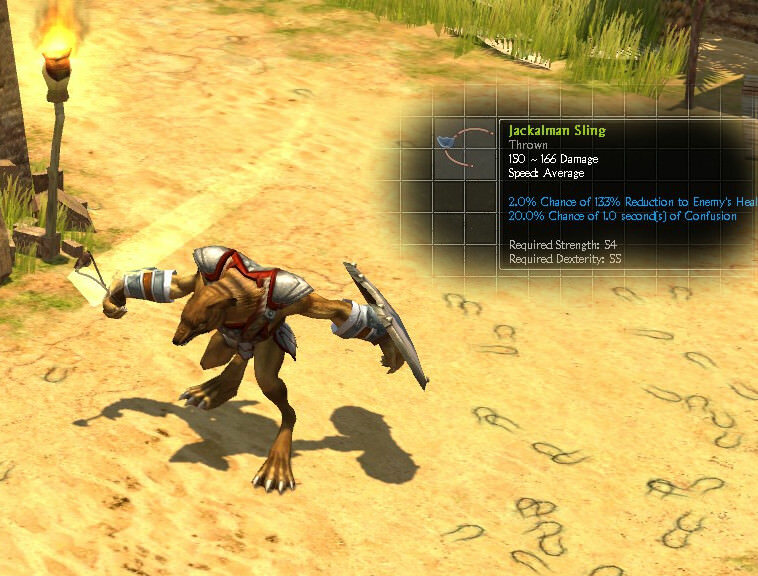 Now serves as a pet of a nightstalker hero. Recreated deleted cyclop quest scene. 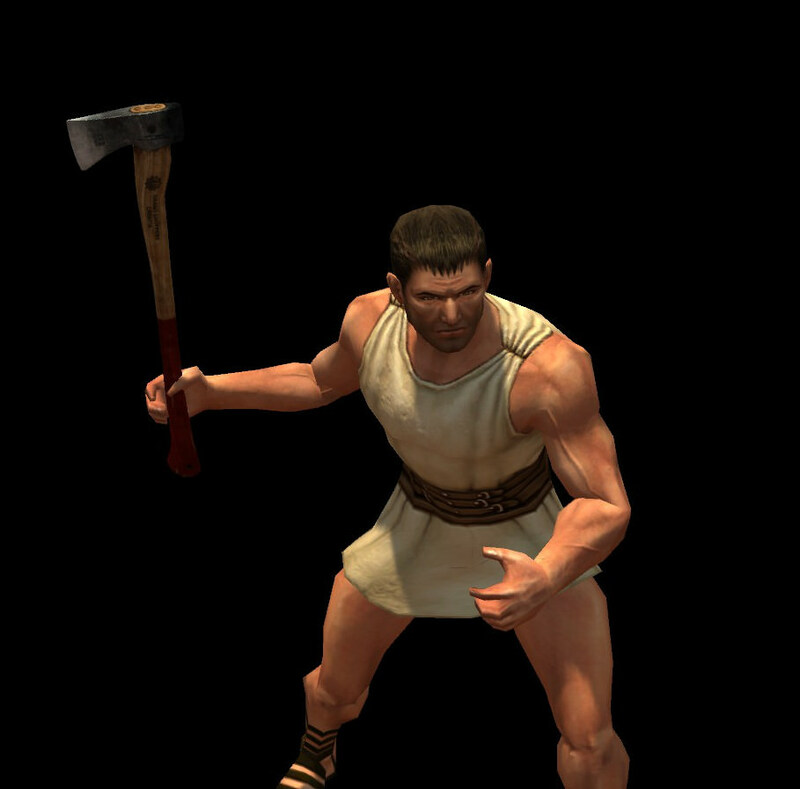 Now incorporated in Polyphemus vs soldiers encounter. 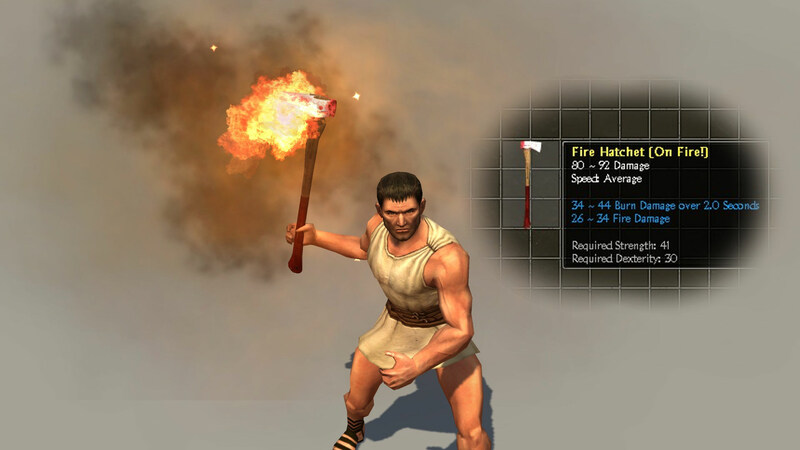 To install, proceed to ...Steam\steamapps\workshop\content\475150\1543063841\A Few Bug Fixes (or alternatively wherever you downloaded it from gDrive) and move Database and Resources folders to ...Steam\steamapps\common\Titan Quest Anniversary Edition with replace. To uninstall you can verify integrity of the game's files which will revert them to the original state. Q. Why not make it a bounce mod? A. The missing quest fix required repacking the main campaign map (hence the mod size, too), which isn't feasible via a bounce mod. Q. Can I play in multiplayer? A. Yes, with the players who have the mod installed. Feel free to report bugs and I'll see if it can be fixed. 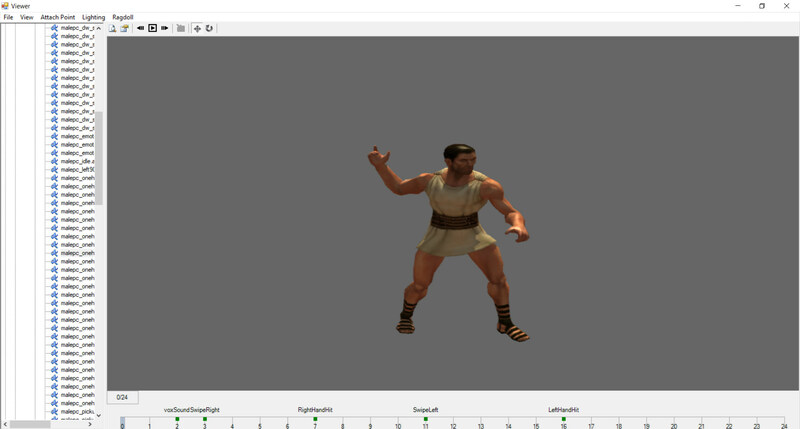 In this thread I'll try to do a quick write-up on how to create a mesh for Titan Quest using 3ds Max. MSH tools is a macroscript for importing & exporting .msh and .anm files. 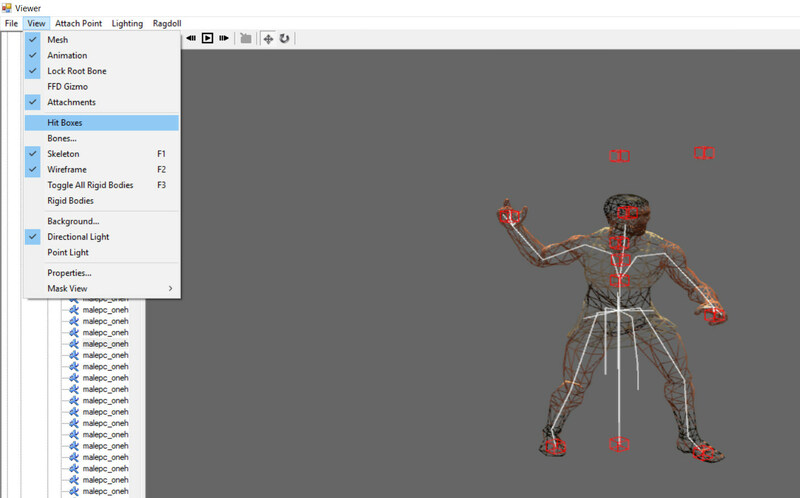 At the moment it's the only tool that allows you to import meshes and animations from the game formats as it is, which gives you crucial points of reference. 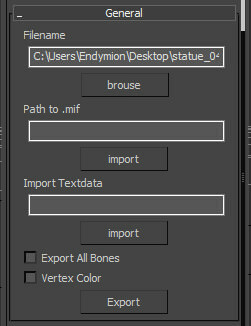 Place the script in your 3ds Max Scripts folder. Launch Max, click MAXScripts and run MSH Tools script. 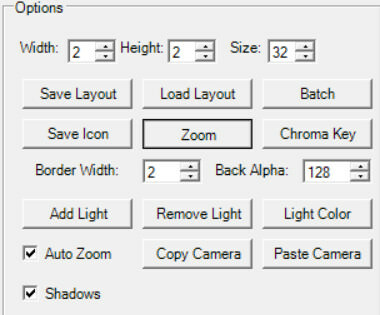 Right click on Utilites Panel, click Customize... In the popped up window choose MSH Tools in Category rollout. 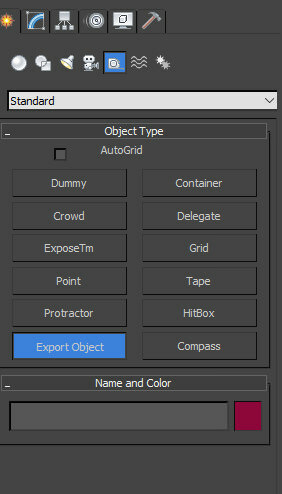 Drag Export & Import MSH buttons onto Utilites Panel. 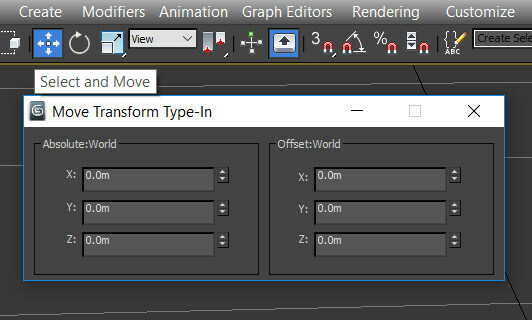 Open Import MSH to import a mesh or animation to your scene. Choose the file format in "Files of Type:" rollout. 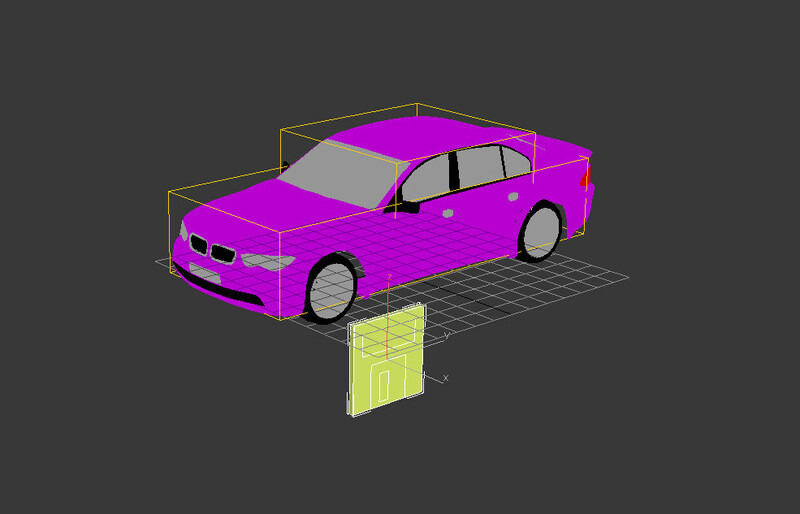 Before exporting a model, make sure it's converted to Editable mesh and has texture coordinates. 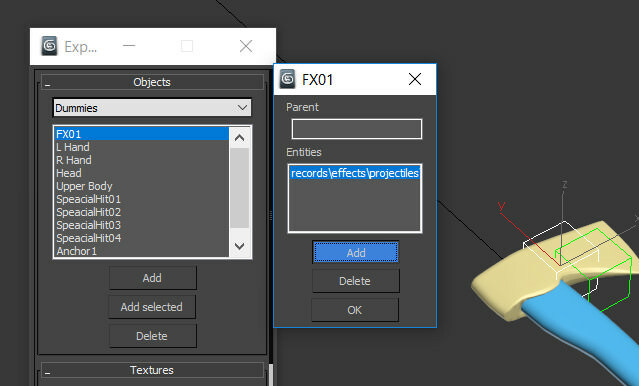 Open Export MSH and add your model under Objects tab, Meshes rollout. 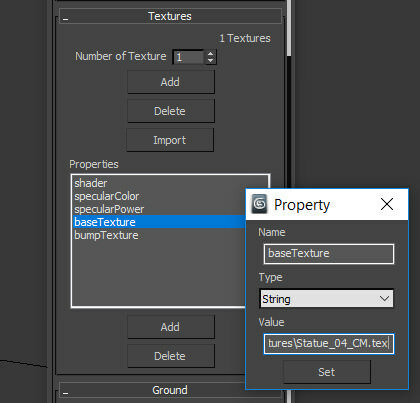 Choose a shader in Textures tab below. 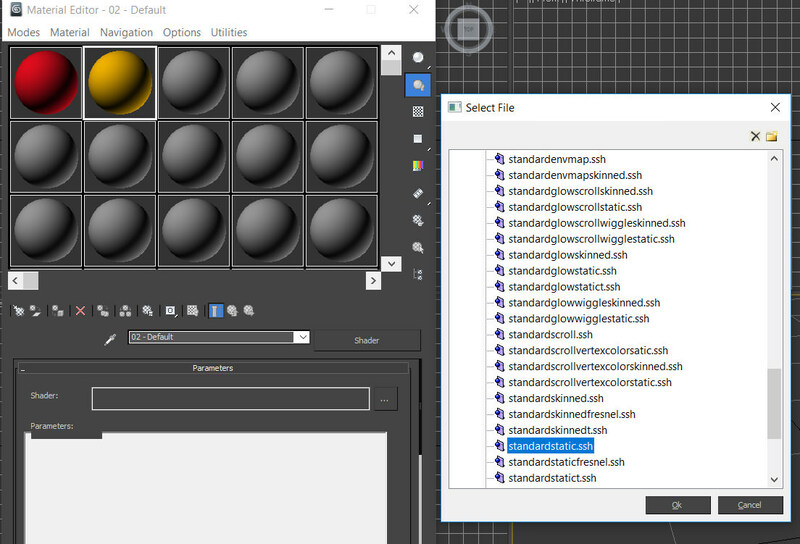 Click Add button, you'll see the default list of shaders. 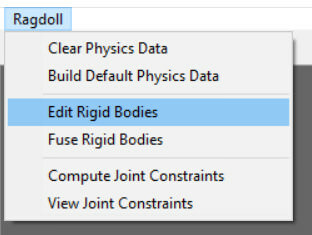 Usually you'll be using StandardStatic - for unanimated objects, and StandardSkinned - for everything that has bones and Skin modifier. 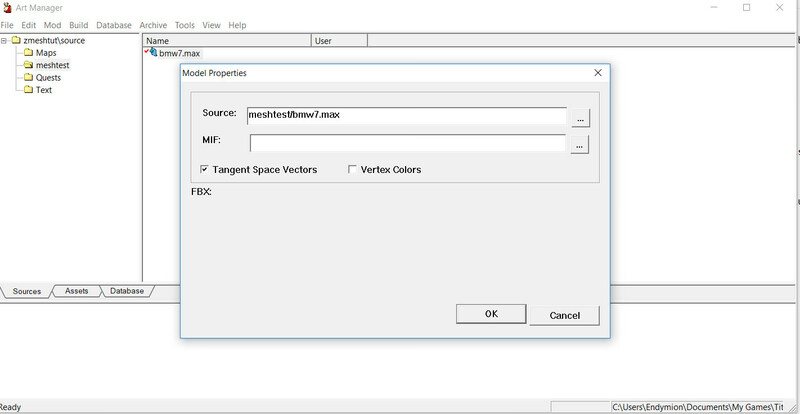 You can set any shader existing in the game and edit their properties manually. 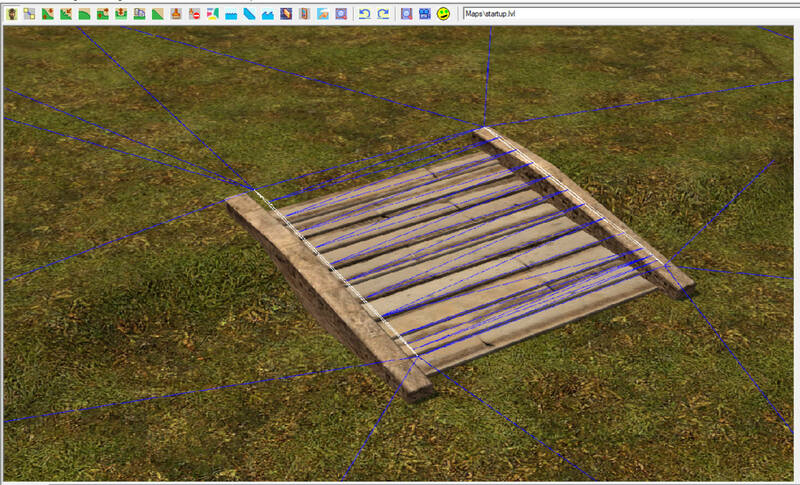 Double click and set your texture paths in baseTexture & bumpTexture fields accordingly. 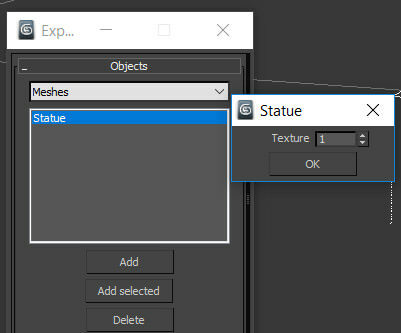 Via Import button you can import texture sets of existing meshes. 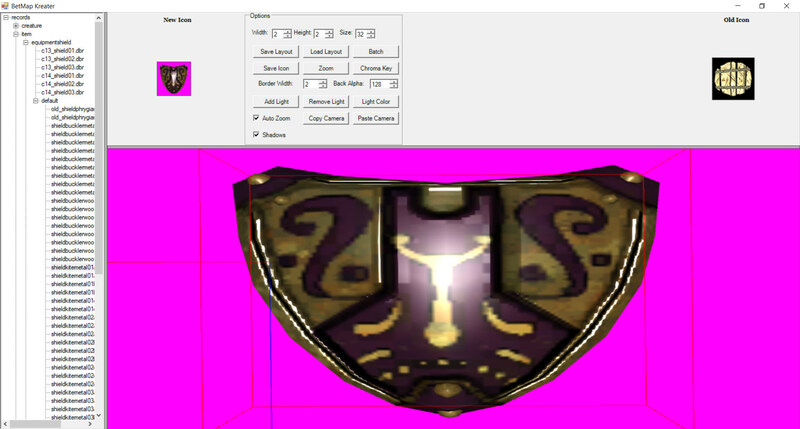 Once you've set up your texture, assign its number to a model in Meshes rollout by doubleclicking on it. 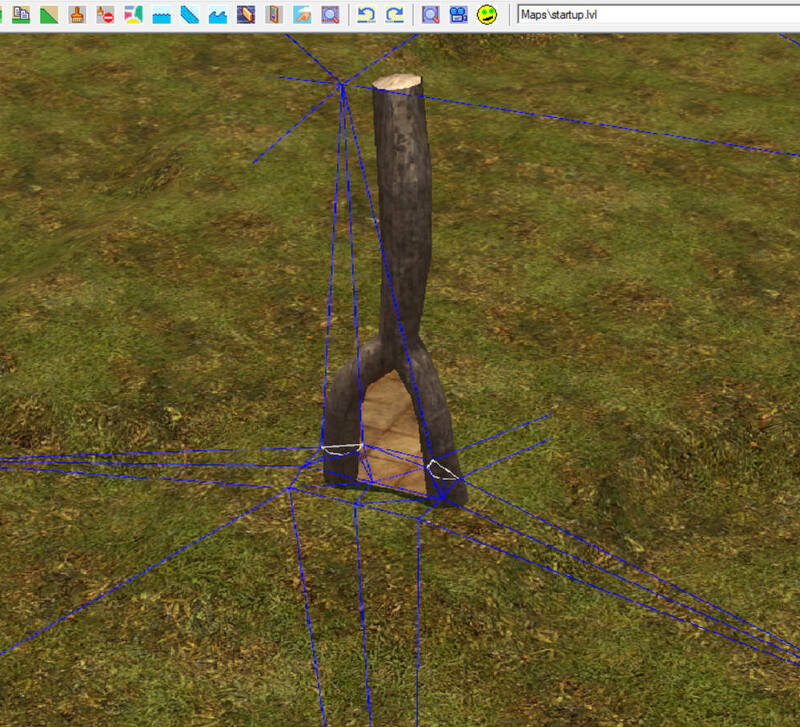 Use Box objects to create a hitbox for your mesh. 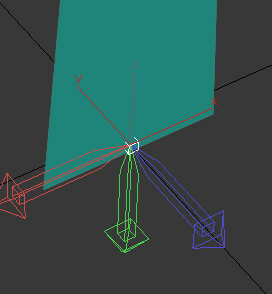 You'll need to Center Pivot to Object for your newly created Boxes. Then place them at zero Absolute coordinates, otherwise they won't be exported properly. After that adjust your Boxes in accordance with the model. 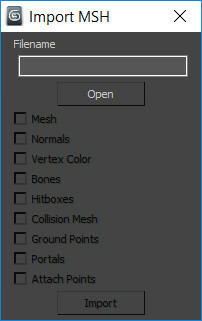 Convert the Boxes to Editable Mesh and add them in Objects tab under Hit Boxes rollout. Finally your mesh export is set. Under General tab, click brouse and choose the name for your file. 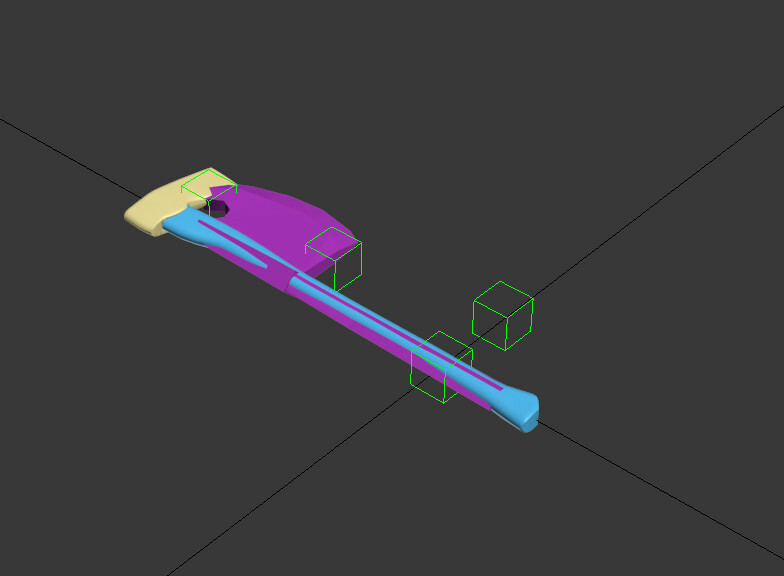 CLick Export to export your model. 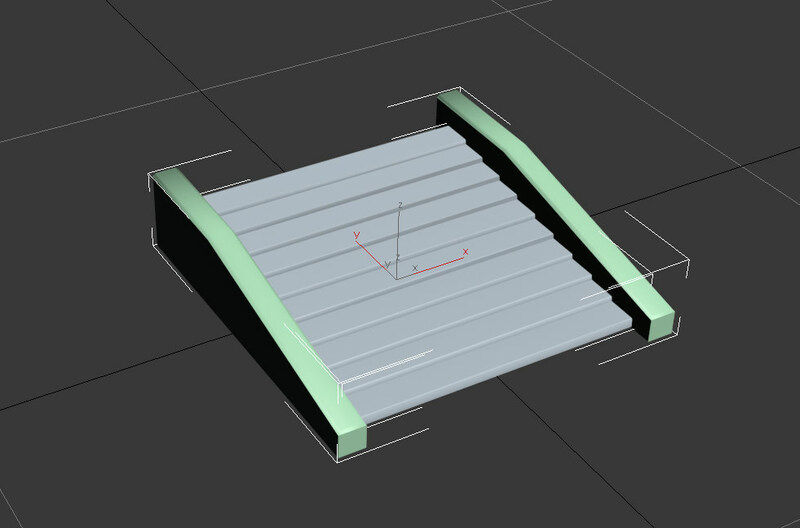 When working with equipment you'll be better off importing some similar mesh from the game and using it as a template. Align your model accordingly. Notice Anchor1 & Anchor2 attach points, the space between them defines trace effect's source (when characters swing a weapon). 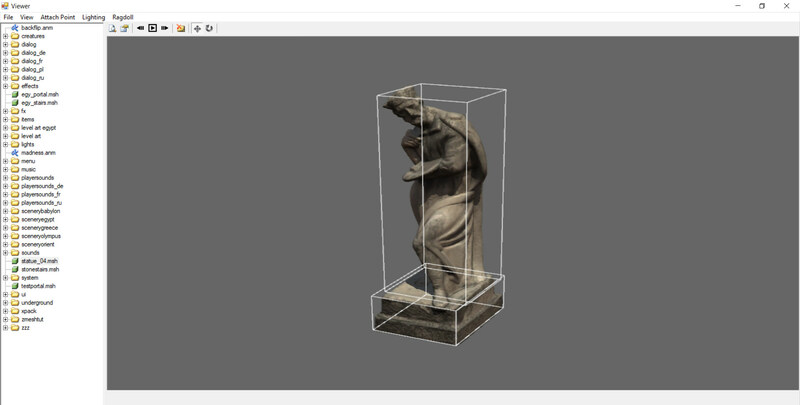 Add your mesh & assign textures in Export MSH. 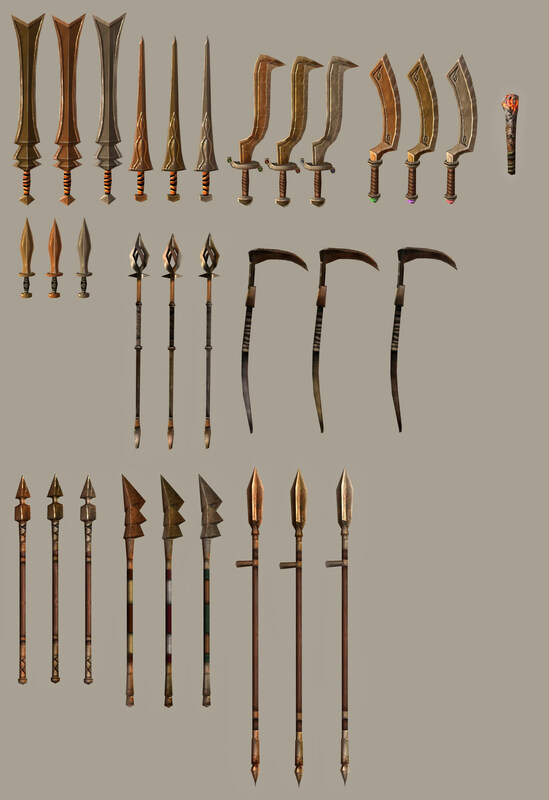 Weapons are unanimated models, use a static shader. Add the attach points under Objects tab, Dummies rollout. 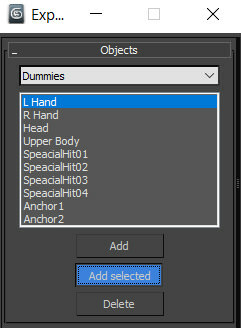 You can select every objects in the scene (Ctrl+A) and click Add Selected button, it'll only add Dummies. 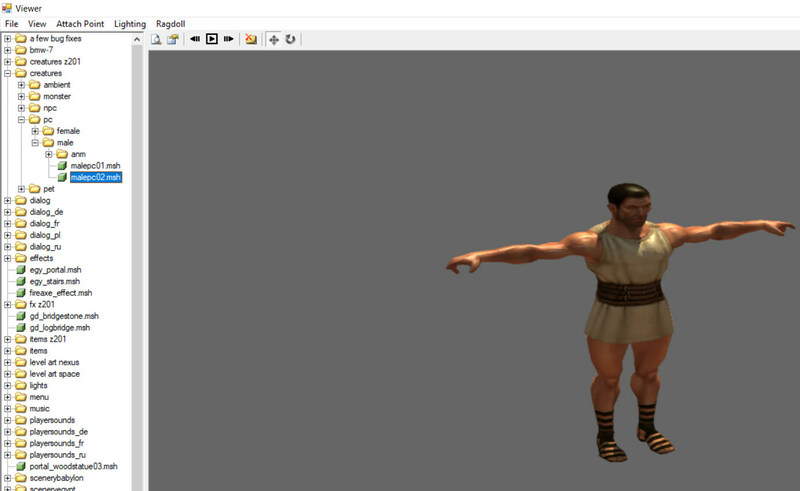 Now your model is ready to be exported. Note that equipment doesn't need hitboxes. To adjust your armor properly you'll need the player character mesh imported(Creatures\pc\female\femalepc01.msh; Creatures\pc\male\malepc02.msh). 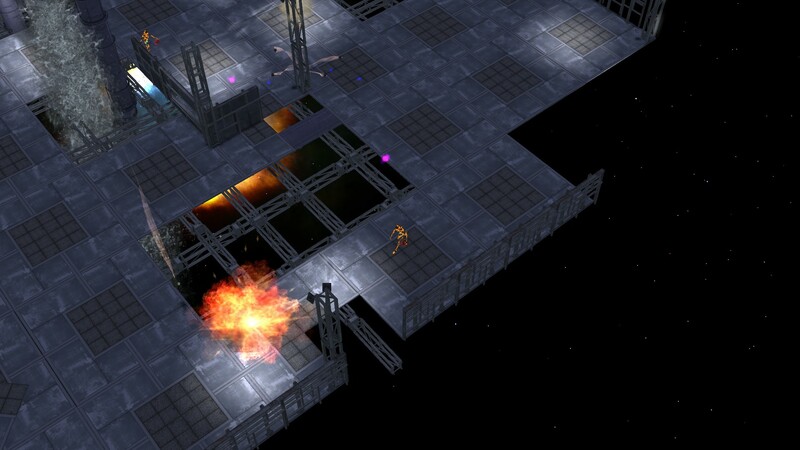 Just like with weapons, you can use a dummy armor mesh. Align your mesh accordingly. 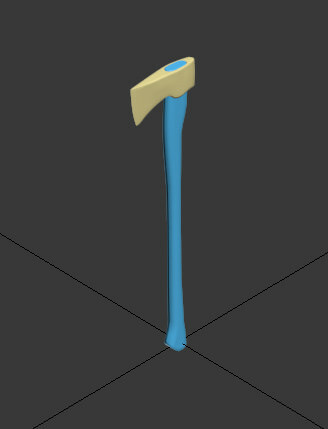 Add Skin modifier and required bones, tweak weights. 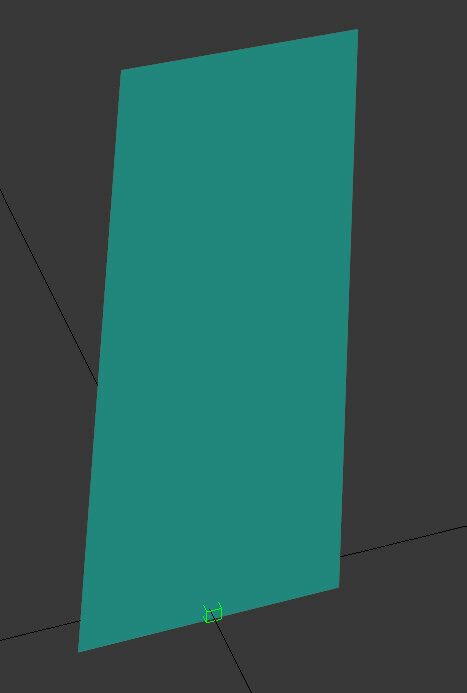 Once you've done, open Export MSH and add your mesh, textures (you're using a Skinned shader now). Export it. 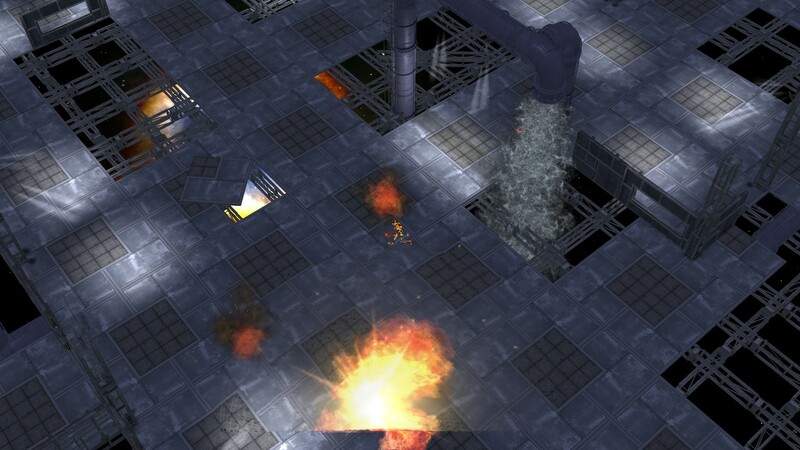 Collision mesh is used to create a pathable surface for a mesh. Create a low poly copy of your mesh. 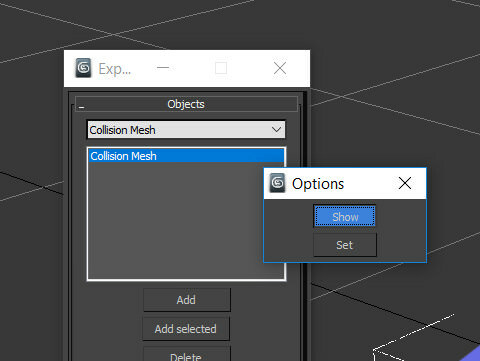 Add it in Objects tab under Collision Mesh rollout. Double click on it to see pop up menu. 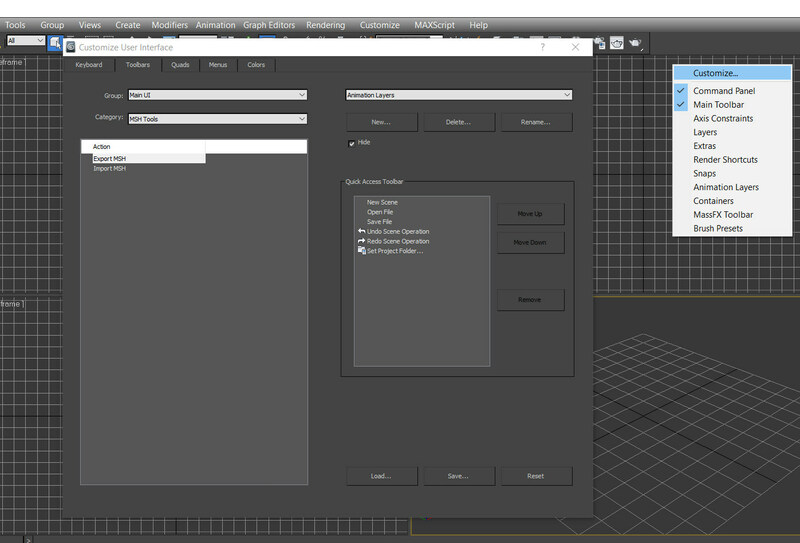 Click Show button, it'll autoselect the mesh. Select pathable faces for your collision mesh. The unselected parts will serve as a hitbox (on a side note: You don't need to create a hitbox if a model already has a collision mesh). Click Set button. 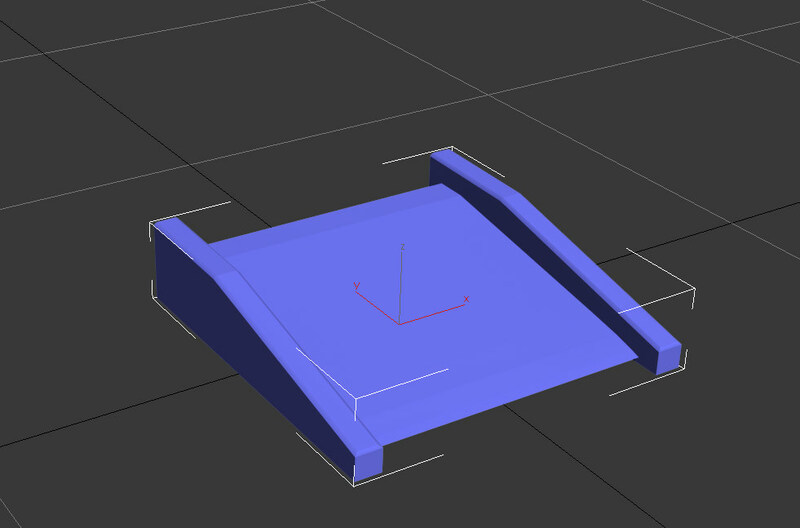 Ground Points are used to attach the pathable part of a mesh to terrain, which is necessary in order for characters to be able to walk up on to the mesh from terrain and vice versa. Use Cross Point Helpers to create ground points. 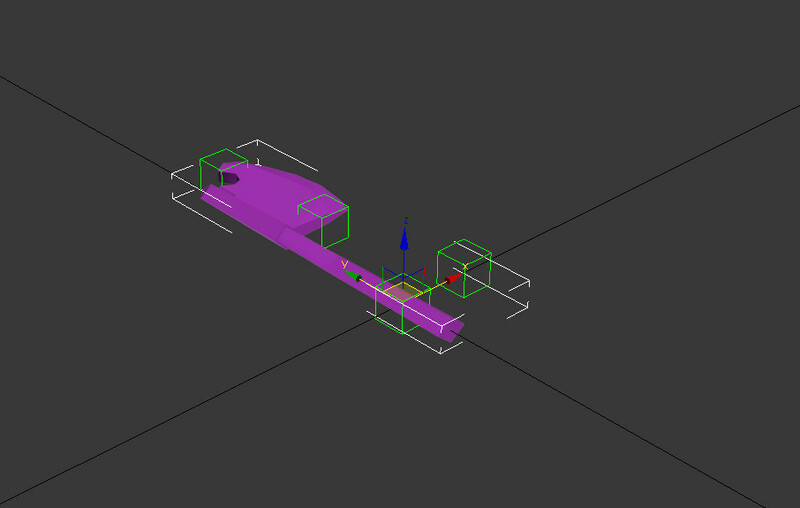 Attach each ground point to vertices of the pathable part of your collision mesh in the counter-clockwise order. Click Edit button under Ground tab to see the list of ground points. Now your mesh is ready for export. Use a Plane object to create a portal plane. 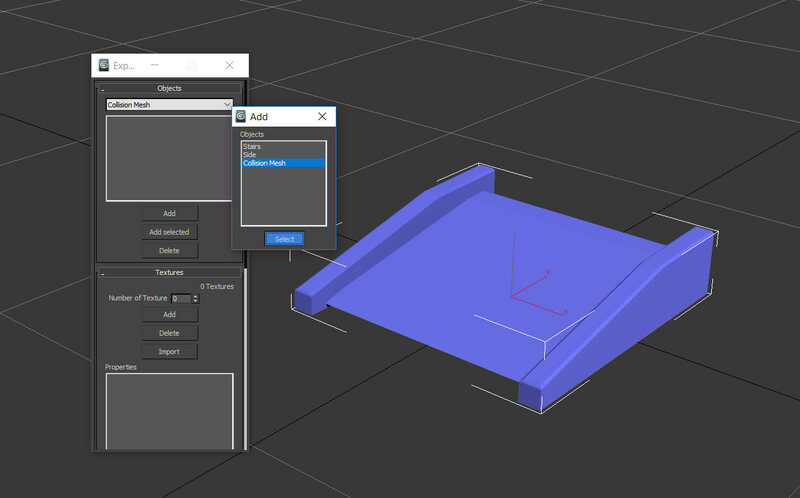 Convert it to Editable Mesh before exporting. 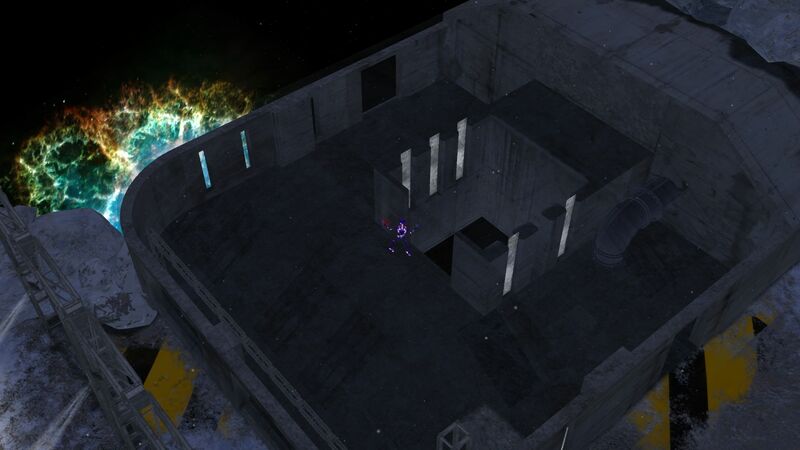 In order for portals to work properly, entrance & exit meshes need to have an attach point called "ChokePoint" with carefully adjusted coordinates. 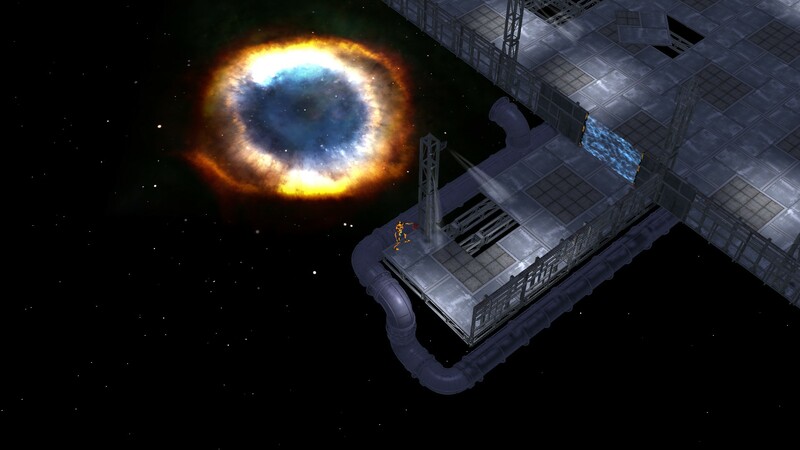 Use a Dummy object to create ChokePoint and place it at the bottom center of the portal plane. 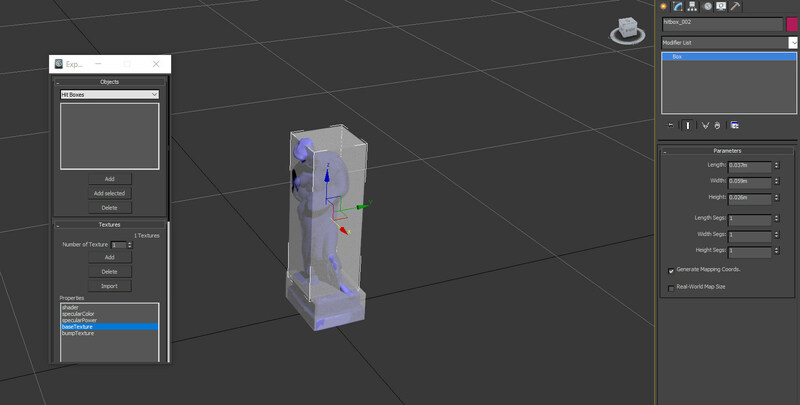 Z axis of the dummy should face a character as he enters the portal. 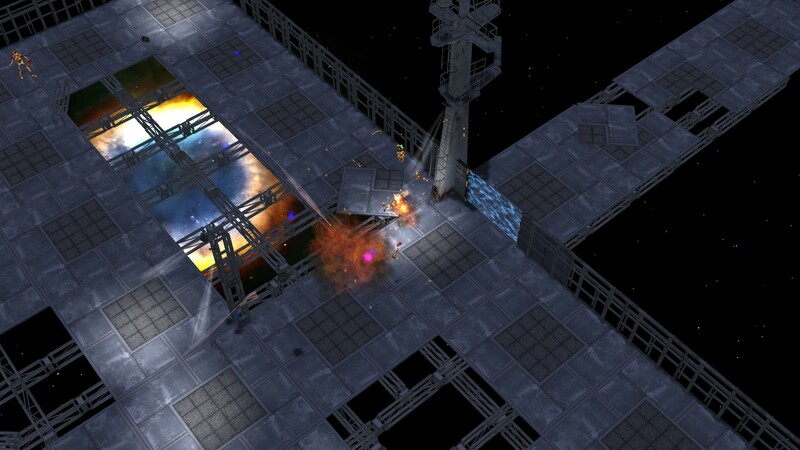 Add the portal plane and ChokePoint under Portals and Dummies rollouts respectively. 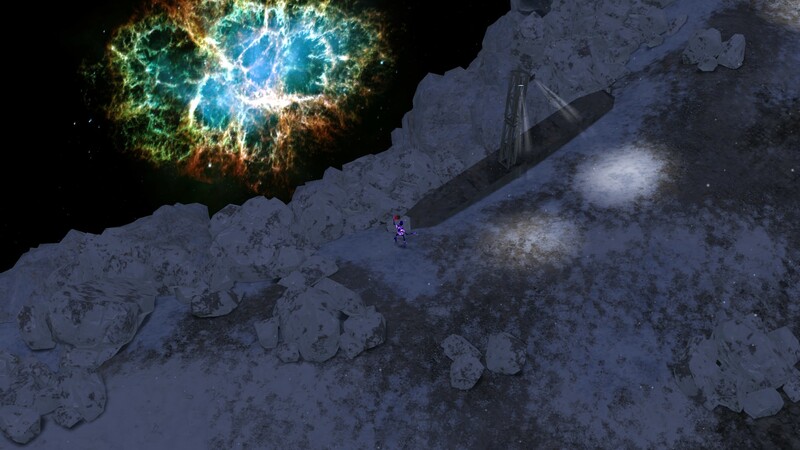 It's worth noting that outer grid entrances (the ones being placed on a terrain region as opposed to a grid) usually have a collision mesh to smooth pathing transition. 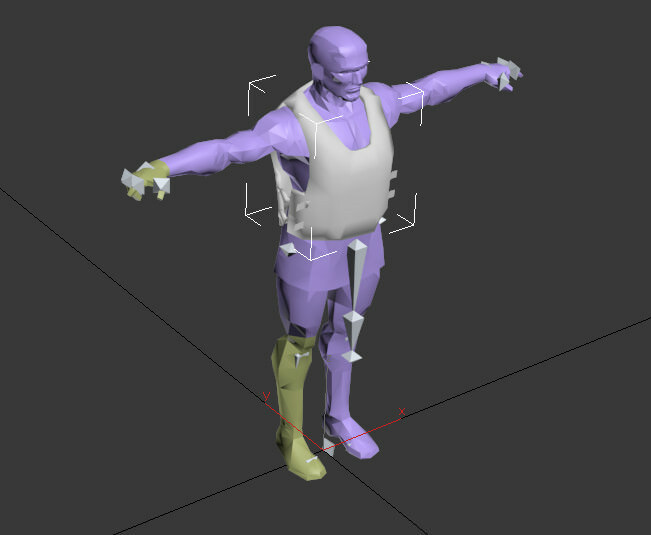 Using dummies you can attach a .dbr to your mesh, be it an effect entity, light source, or a piece of equipment. Double click on an attach point in Dummies roll out to fill in an entity's records path. To attach it to a specific bone, set the bone's name in Parent field. Animation only works with bones. 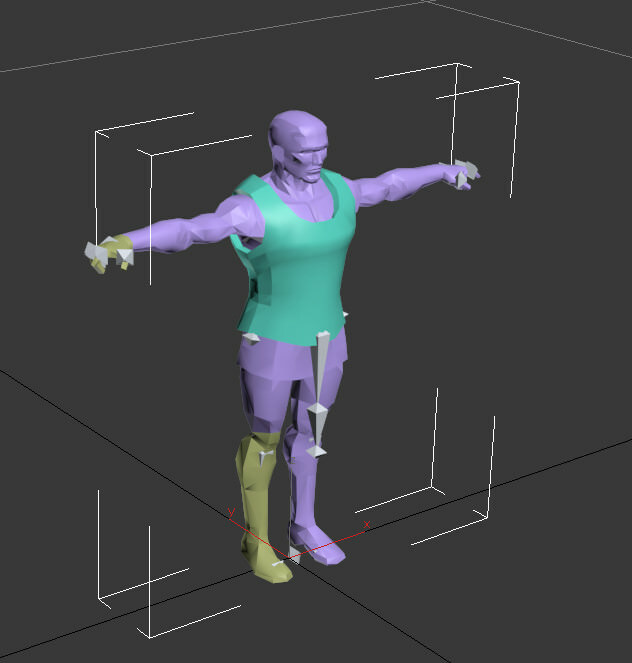 First frame of an animation has to be the default T-pose, in order for the script to capture beginning of the animation correctly. 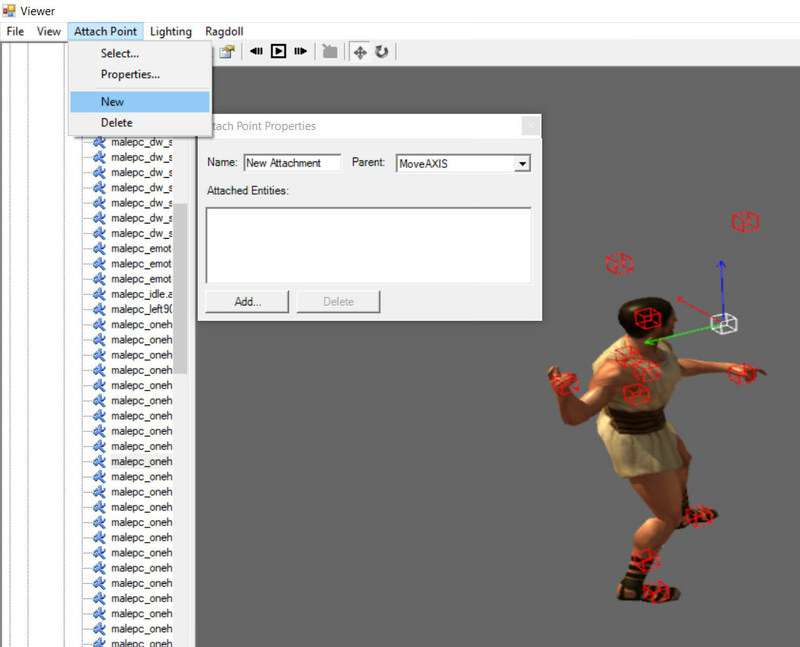 When exporting, animations only require bones, you don't need to set up the model/hitboxes/dummies. In most cases you'll need to have Export all bones box checked. There's no official documentation to be found anywhere, however evidently its set up is similar to 3ds plugin for GD. 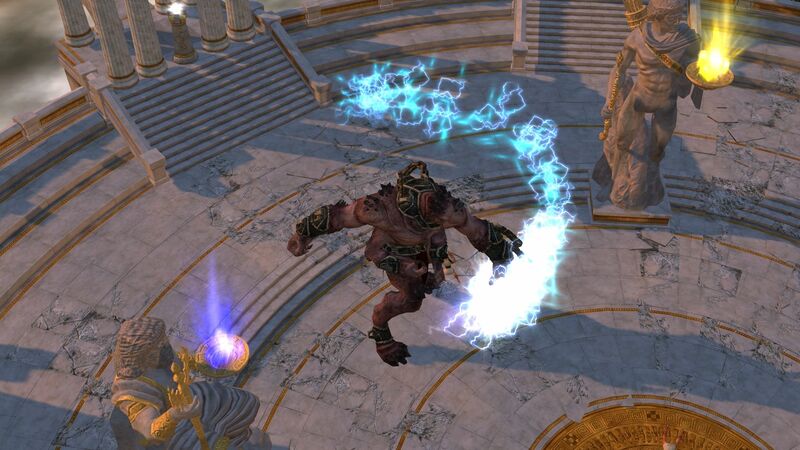 In order for Max to be able to see the game's contents, proceed to C:\Users\*User*\Documents\My Games\Titan Quest - Immortal Throne\ and open Tools.ini. 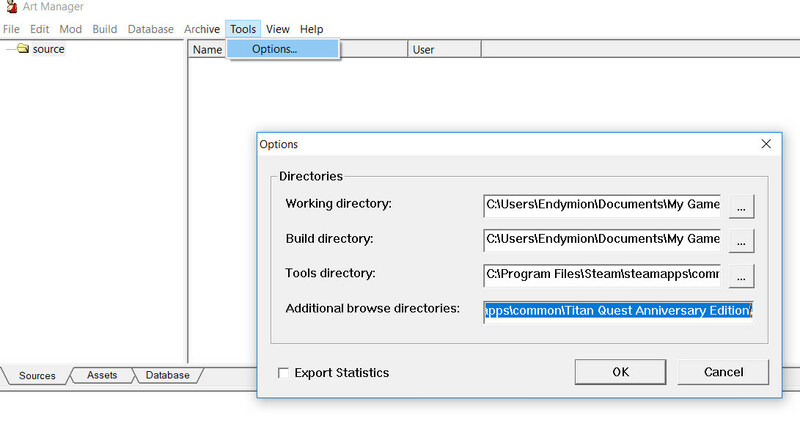 Set core Titan Quest directory (If you have mods with custom assets you'll be using add their paths too) path in additionalbuilddirs field. 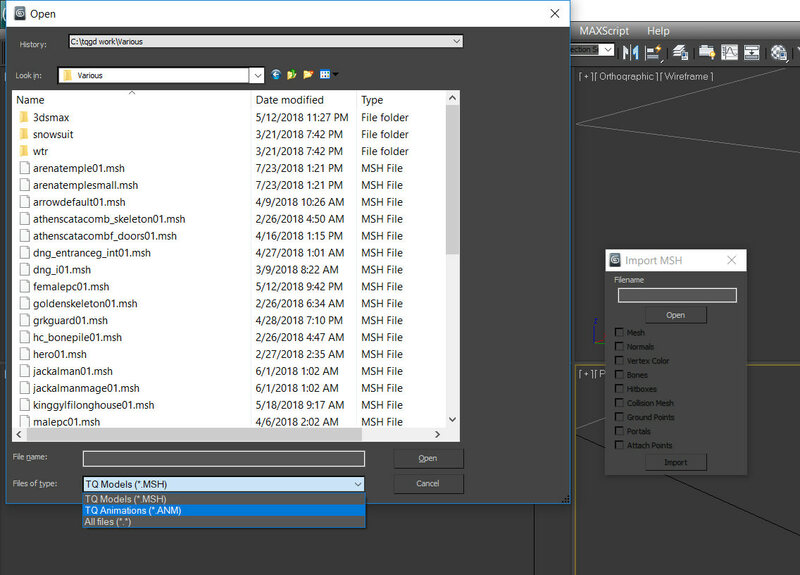 Copy over .dlls found in Titan Quest core directory to 3ds Max installation folder. 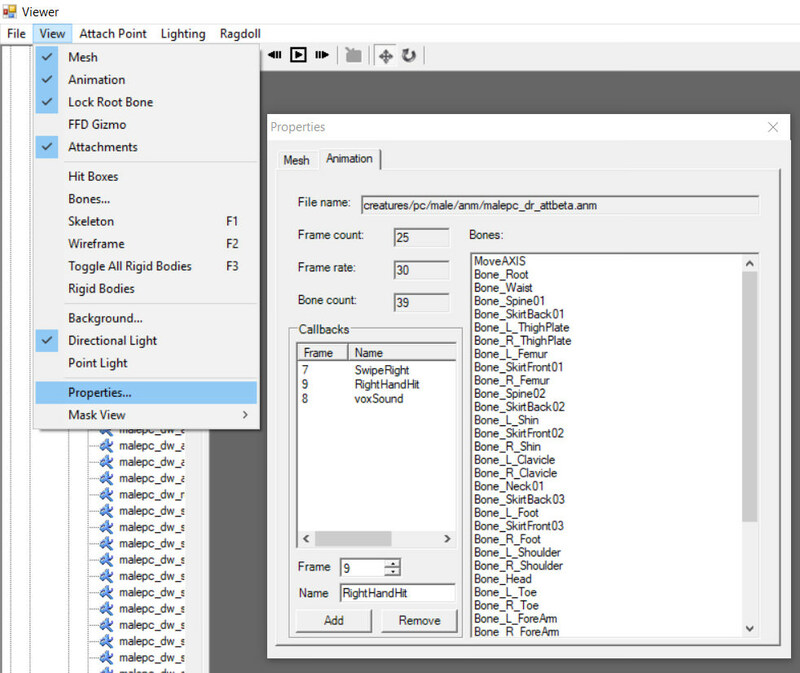 Copy MaxPlugins.dlo to your 3ds max plugins folder. 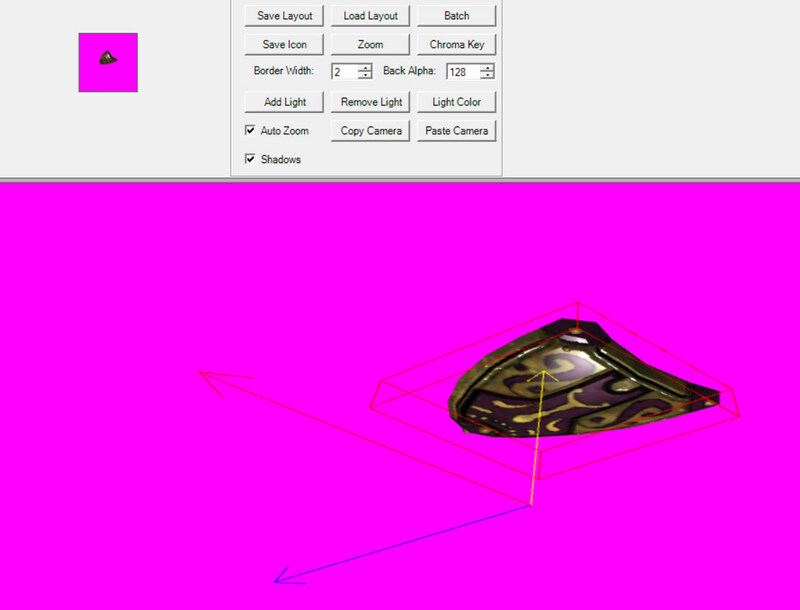 For the game shaders to work properly you'll need to set Direct3D in renderer settings. Launch Max, in Preferences Settings (Customize->Preferences on Utility Panel) open Viewports. 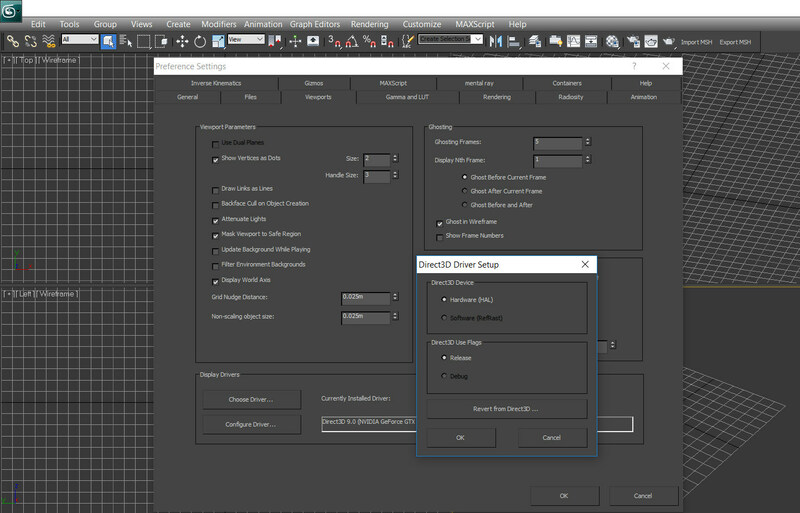 Click Choose Driver, then Revert from Direct 3D. Select Direct3D and press OK. 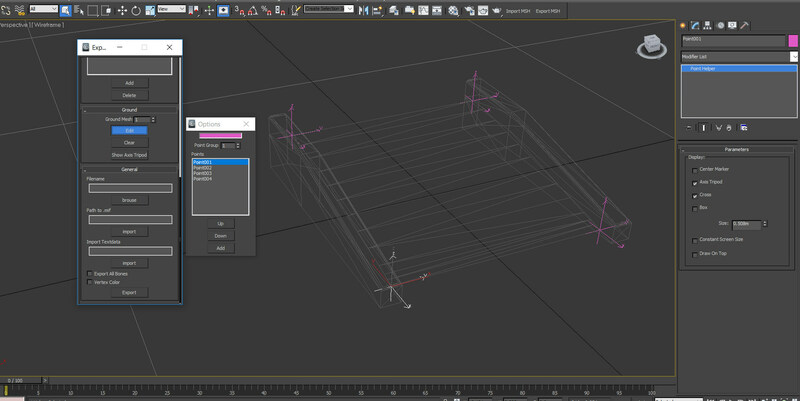 Restart 3ds Max. 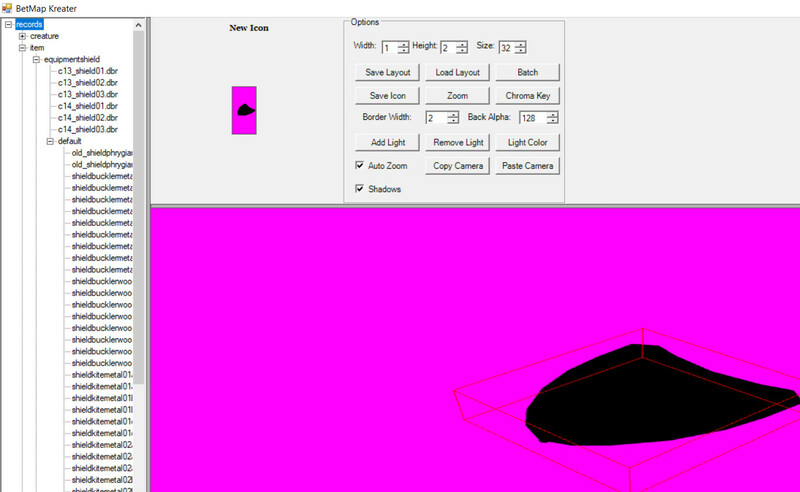 To export a model you'll need to assign it a one of the game's shaders. 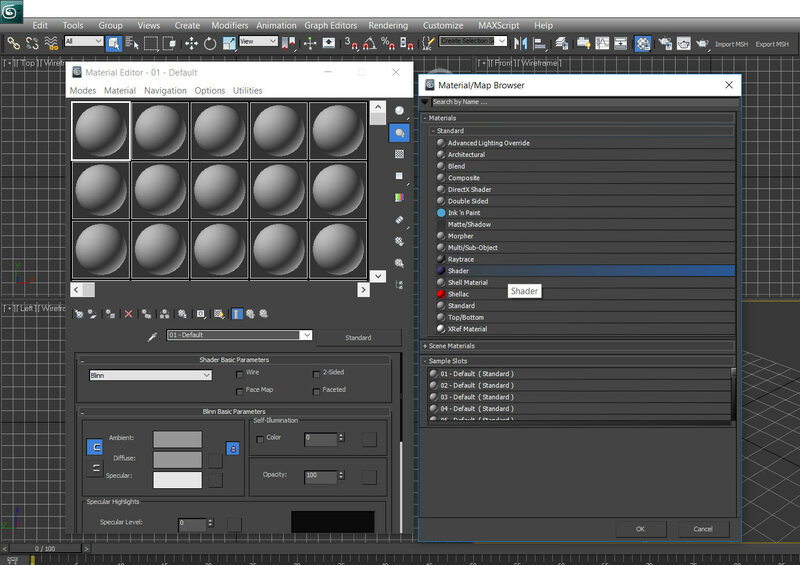 Open Material Editor (M), set it in Compact Mode. 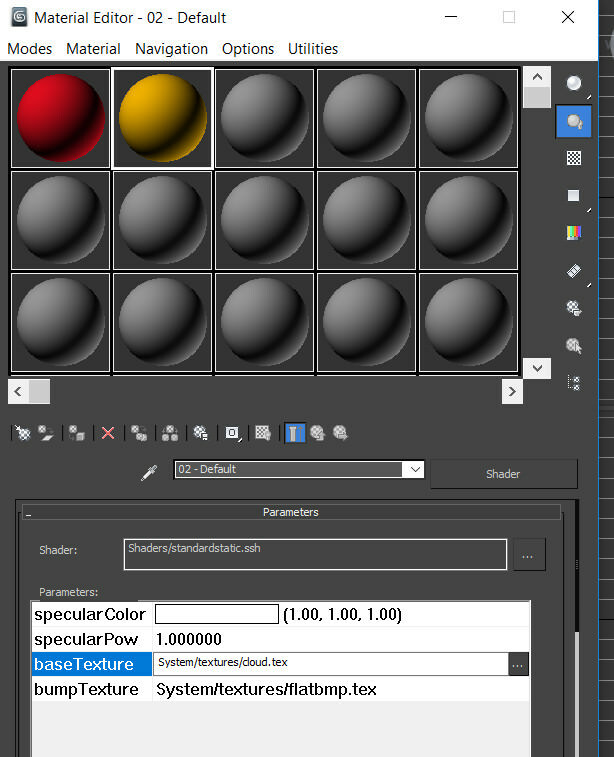 Click Standard button and select "Shader" material. Click on the elipsis to choose a shader. After you've set textures' paths the material is ready to be applied to a model. 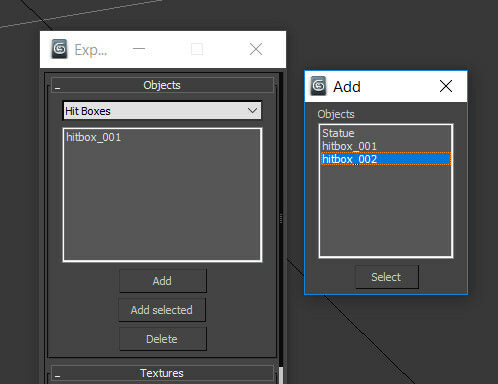 Use hitbox helpers found on Create panel/Helpers to create a hitbox for your mesh. 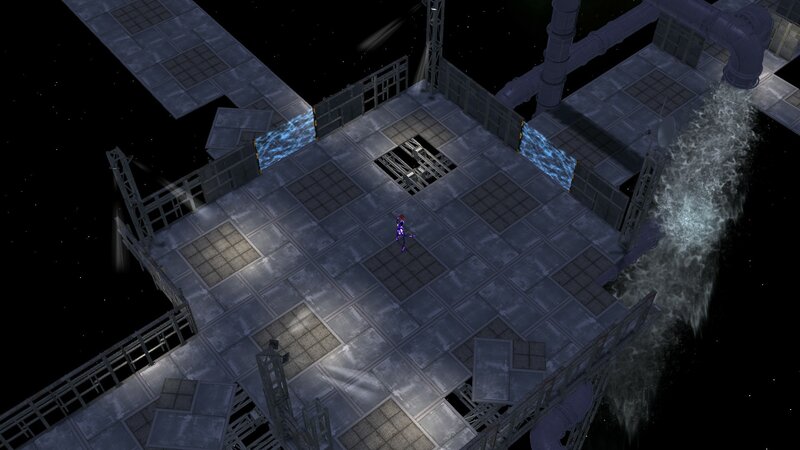 Upon finishing up, place one Export Object somewhere on the scene. 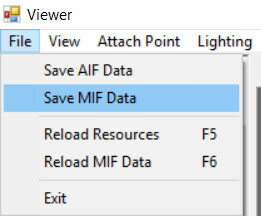 Save your .max to your mod's source folder. 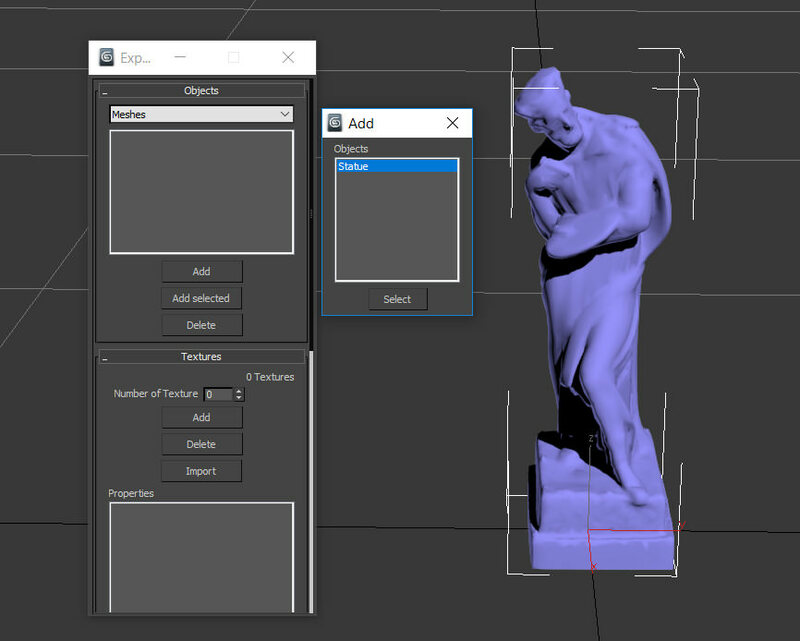 Open Art Manager and Auto-Create Asset for your model. Build your mod. Guide by one of the devs is found here. 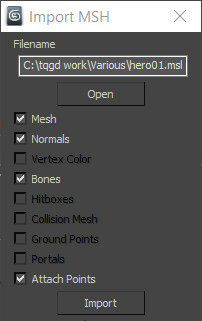 GD and TQ meshes differ by the fourth byte in their files. 02 for GD; 0a and 0b for TQ. 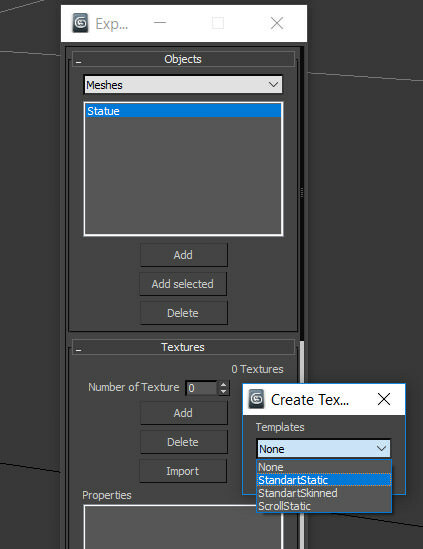 0a type allows only one texture per mesh so you'll never really need that. Once you've built your models in Asset Manager convert them via any hex editor and they're good to go for TQ. Although I have to add GD uses more advanced technology, some of the mesh data will essentially be a dead weight when used in TQ. No idea whether it affects the game performance in any way. 1. A secret enemy for each map. (Done for Swamp Realm). Used assets from: Serious Sam BFE, Talos Principle, Grim Dawn; Credit goes to all the people involved in creating those. 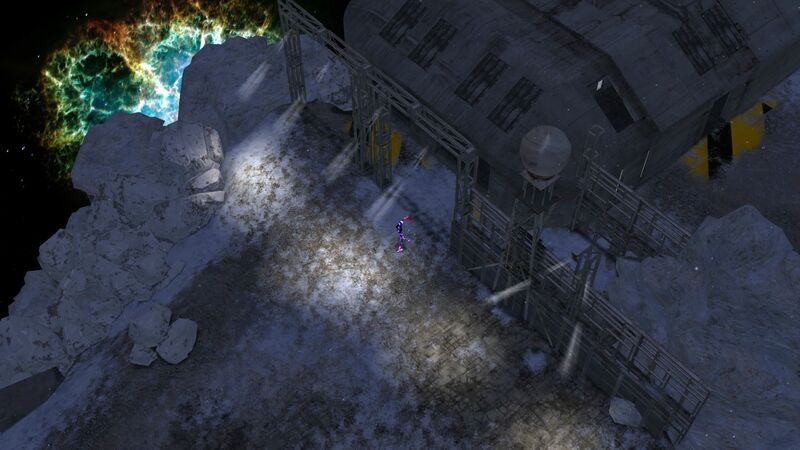 -Fixed an issue where chars would occasionally get stuck in certain scenery decorations. -Tweaked a few sloppy hitboxes. 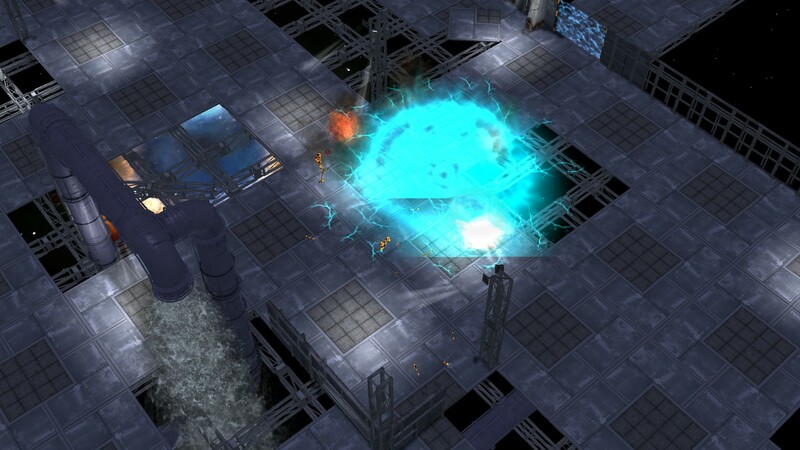 -All map regions received a teleport zone. Note. If you have the old Swamp Realm from Workshop installed, delete it before using this version. 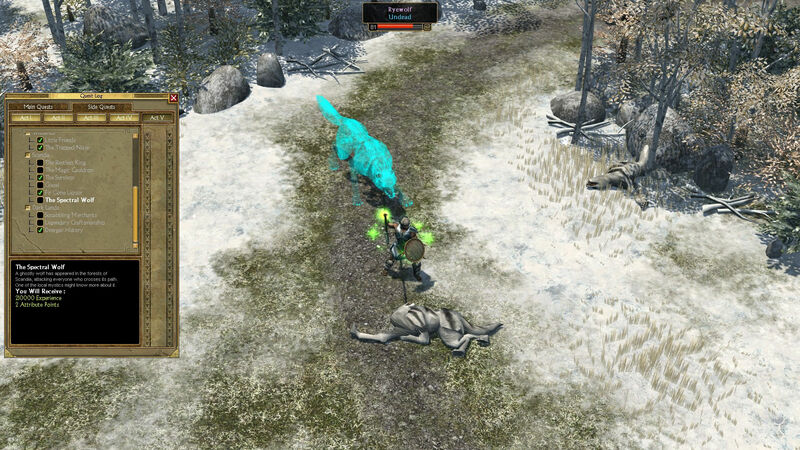 Having two mods with identical names causes unwanted behavior. 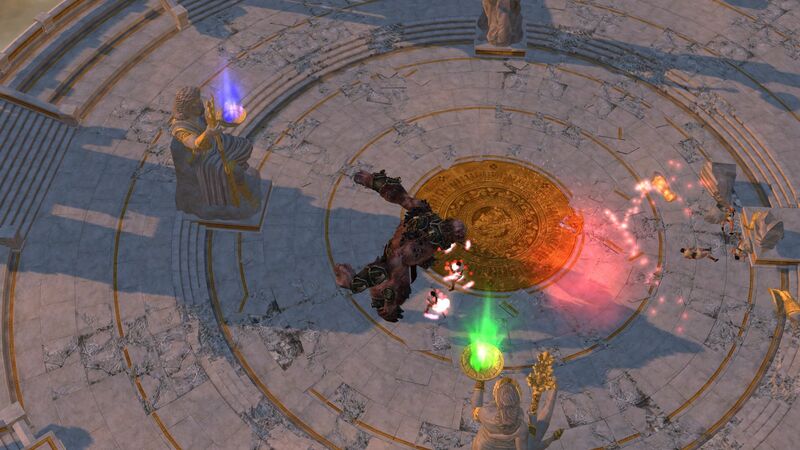 You'll need Titan Quest AE + Ragnarok to run this mod. 1. Game occasionally freezes as it loads multiple objects containing HD textures at once, which can eventually lead to a crash, especially for lower specs PCs. 2. A bug has been encountered where the game starts crashing when it tries to load a char that's already been on the map. 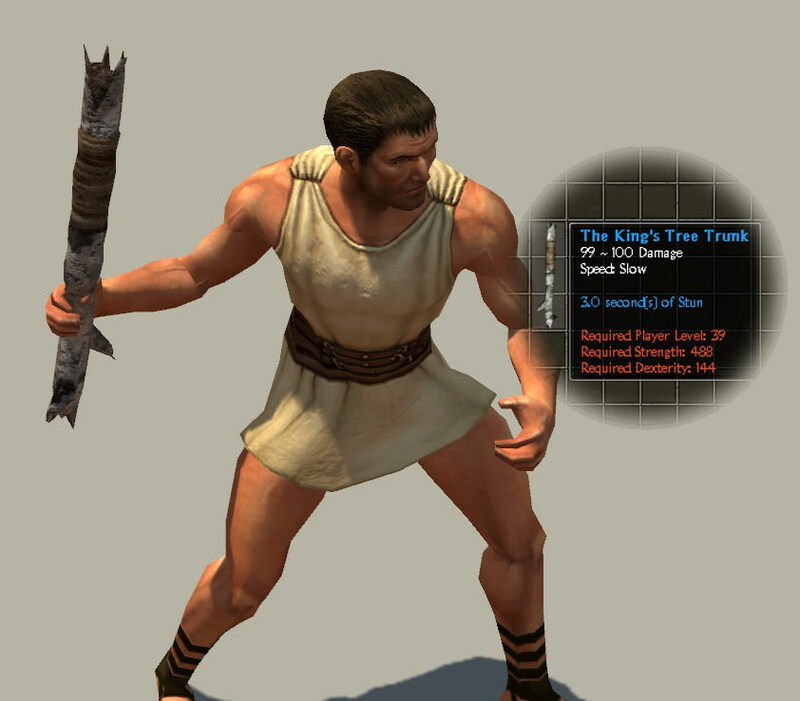 Proceed to your Custom Quest save folder: "*User*\Documents\My Games\Titan Quest - Immortal Throne\SaveData\User", find your char and delete "Maps_a land of ruins.map" folder. It'll wipe most of the map data, you'll start from the default spawn point. Please report any problems and feel free to share your feedback and suggestions.